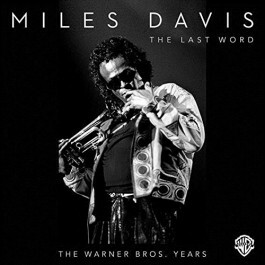 In 1985, Miles Davis shocked the music world by moving from Columbia to Warner Bros.. He immediately started working on an album called 'Perfect Way' after a tune by Scritti Politti, later renamed 'Tutu' by producer Tommy LiPuma. When 'Tutu' (a tribute to Desmond Tutu) was released in 1986, it re-ignited Miles Davis' career, crossing over into the rock and pop markets and winning Davis two Grammy Awards - the album was a key factor in raising Davis' status to an international superstar. A definitive collection of the later part of Miles Davis' work, lavishly packaged and remastered, from the Warner Bros studio albums 'Tutu', 'Amandla' and 'Doo-Bop', 'the Dingo' and 'Siesta' soundtracks, live recordings with Quincy Jones, and the likes of Kenny Garrett, Foley and Adam Holzman. Clamshell Box. Fully remastered. Each Warner Bros. album in a mini-LP CD cardboard replica sleeve with spine of the original artwork. 60-page, perfect-bound booklet, with period photos and liner notes. A whole night's performance of the Miles Davis Octet at the Nice's Jazz Festival of 1986 only available on the 'Tutu' Deluxe CD edition. Liner notes by leading jazz writer Ashley Kahn.